Five new categories include Scaffold & Debris Nets, Truck Loading Nets, Bridge Debris Netting, Personnel Safety Nets, and Lifting Nets. Debris and safety nets are the latest addition to the US Cargo Control product line. The Iowa-based company recently added five new categories of InCord products to its online selection at US Cargo Control.com: Scaffold & Debris Nets, Truck Loading Nets, Bridge Debris Netting, Personnel Safety Nets, and Lifting Nets. Matt Mitchell, Merchandise Category Manager, says the new category complements the company’s growth in custom-made products. The majority of the new netting products are made-to-order based on the customer’s application, while Personnel Safety Nets and Lifting Nets are available in stock sizes. Customers can view options the US Cargo Control website and submit an online quote, or call the company’s Sales team directly at 888-794-1319 to order. 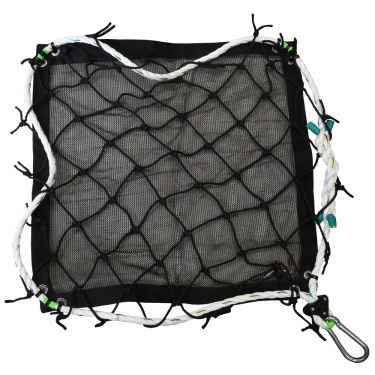 Stock sizes of Personnel Safety Nets (with or without a debris liner) and Lifting Nets can be ordered online. The new line is the latest round of merchandise expansions that offer custom capabilities. 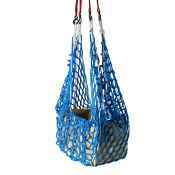 The company’s line of custom cargo nets has seen exponential growth over the past six months due to additional hardware options and the ability to serve markets requiring bulk quantities. According to Mitchell, the netting product expansion will continue into 2016, and will include wheel nets and additional styles of cargo nets. US Cargo Control is a leader in the cargo control industry, specializing in lifting slings, cargo control, rigging equipment and moving supplies. Focused on offering quality products, timely delivery, and an excellent customer experience, customers can purchase products on the company’s website, USCargoControl.com or by phone at 866-444-9990.